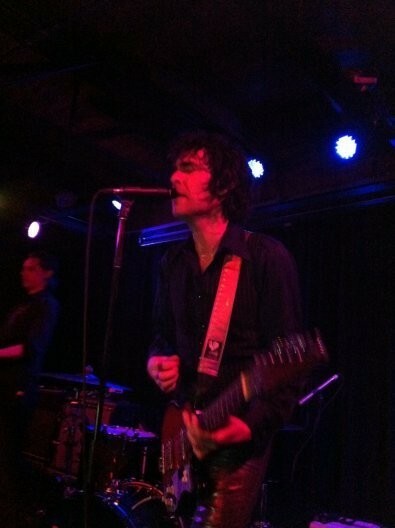 The Red Bennies and Jon Spencer Blues Explosion show at The Urban Lounge on Friday night was a whiskey-soaked blur.--- And I'll admit it, that night was probably the most buzzed I've ever been at a concert. This being one of the Red Bennies’ final shows (their absolute last is July 27 with The Pentagraham Crackers and the Night Sweats at Urban), watching them shred last night was a little bittersweet. 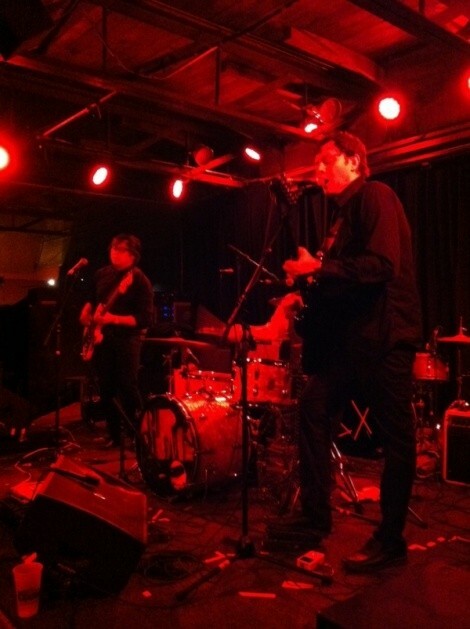 And the Blues Explosion’s performance—which was warmly welcomed by fans who were saying they hadn’t seen the band play since the 90s’—was just KILLER. More on that in a minute. 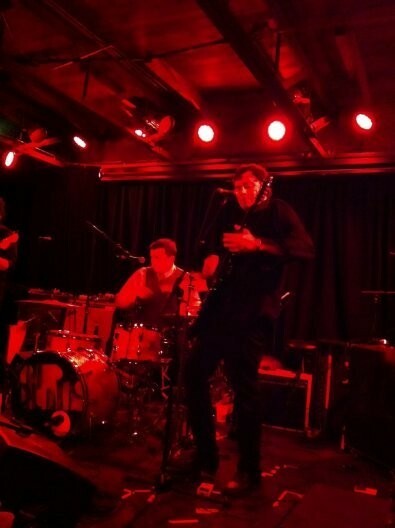 Fittingly, the Red Bennies played while bathed in blood-hued stage lighting. Their set was a dynamic dance between restraint and abandon, as David Payne, Dan Thomas and Tommy Nguyen would wind up tight spirals of energy that they would then unleash in wild breakdowns. Their dark, dance-worthy rock held the audience fast in a hypnotized trance. At this point, my whiskey buzz was still at that productive level, the type where you think, “I should sit down and write something funny. Or draw something. Or go exploring.” It’s a feeling that’s comparable to the Red Bennies’ music: intoxicating and inspiring. Simins was a madman on the drums and Bauer’s guitar work was mind-blowing, and I’ve never seen a guy do more obscene things to a microphone than Spencer. Practically eating it, he was somehow able to sound absolutely crazy: heavily distorted and almost unintelligible. In fact, the only words I could make out were “blues explosion! !” and Spencer collectively calling the audience “Honey” a lot, which was cool. My boyfriend, who is a long-time fan of the band, filled me in on the titles of some of the blistering songs they played that night: “Bellbottoms,” “Sweat,” “Shirt Jac” “B.L. Got Soul” and more. The set was a frenzied, humid blur, with audience members shouting/singing along and dancing wildly. With the charisma of a backwoods preacher and the charm of a used-car salesman, he held all of us rapt through their entire set and encore. Long story short: It was a night of outstanding music, and totally worth the buzzing ears and headache the next day. 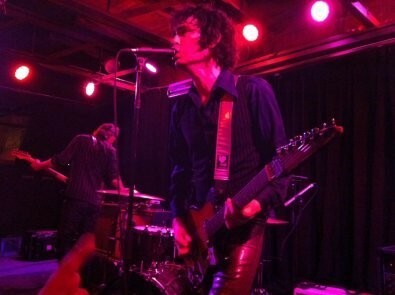 Hopefully it won’t be another 10+ years before the Jon Spencer Blues Explosion decides to blow through Salt Lake City again.